The annual Chicago Area Undergraduate Research Symposium (CAURS) will take place at DePaul on Sunday, April 15th, in the Student Center. This is a wonderful opportunity to showcase your work. 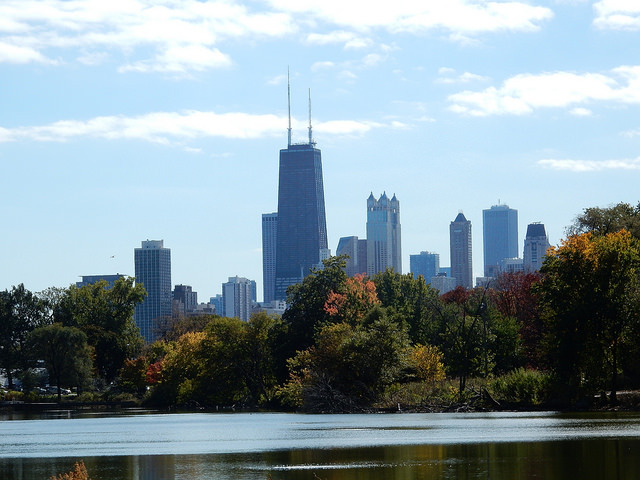 This annual research Symposium is a partnership between several area universities, primarily DePaul, Northwestern, Loyola, ITT, Roosevelt, and the University of Chicago. The Symposium is for undergraduates primarily in the sciences, social sciences and humanities, but any undergrad may present research they have done here or through an external program. Registration is open until March 31. Have you written a paper you’re especially excited about? Whether it’s a research paper or creative writing, be sure to submit it to the University of St. Francis’ 25th annual English Language and Literatures Conference no later than September 15 (that’s this Thursday!). The ELL Conference is an opportunity for students across the country to present papers, field questions, and further hone their argumentative thinking skills in a challenging but supportive environment. A special bonus for participating students is that a conference presentation looks especially good on resumes and graduate school applications. 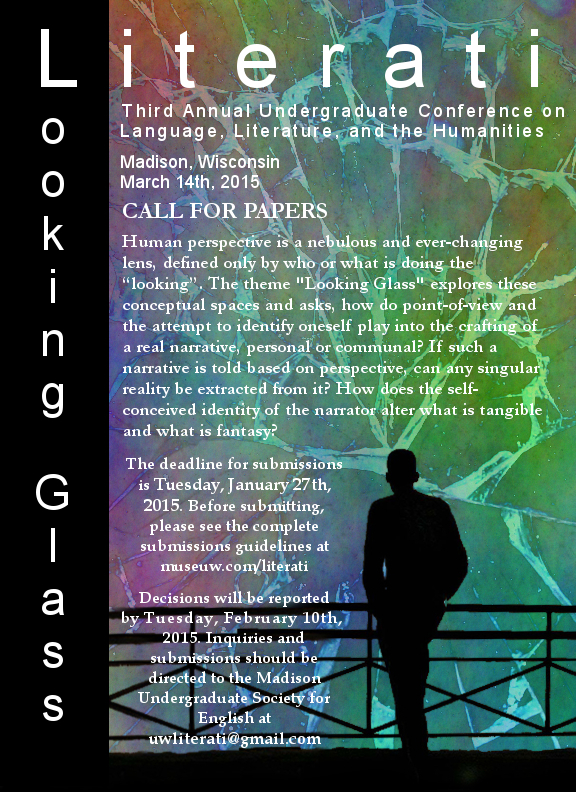 Undergrads, see below for information on what looks to be an excellent conference sponsored by University of Houston (which has a history of robust literary presence/programming) and Glass Mountain, the UH undergraduate literary journal. Early bird registration ends March 23rd.